Five primitive campsites are located along the Grapevine Hills Road. This road is generally passable for most vehicles to the Grapevine Hills trailhead. The Grapevine Hills Road begins 3.3 miles west of the Panther Junction Visitor Center along the north side of the road. Site number 1 (Government Spring) is located 100 yards from the pavement. GH-2,3 are located approximately 4 miles from the pavement. GH 4,5 are located 7.2 miles from the pavement at the very end of the Grapevine Hills Road. Although there may be a few rough spots, the Grapevine Hills Road is generally accessible to all vehicles at least to GH-2,3. After the Grapevine Hills Trailhead (7 miles) the road is rough and GH-4,5 usually require a high clearance vehicles. Ask a Park Ranger for the latest road conditions. No shade at any of these campsites. Minimal ground cover at GH-1,2,3. Moderate ground cover at GH-4 and GH-5. GH-5 is surrounded by a thicket of vegetation. Government Spring is located near GH-1. Good views of the Grapevine Hills and distant mountains from GH-2,3,4,5. Grapevine Spring is located near GH-4,5. 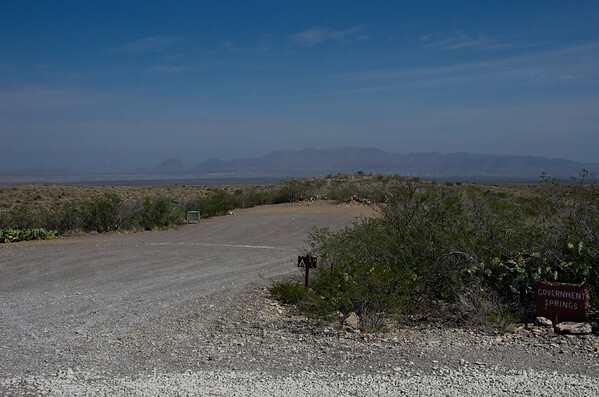 The Chisos Mountains can be seen from the entire length of the Grapevine Hills Road. The road past the Grapevine Hills Trail (mile 7) usually requires high clearance. The Grapevine Hills Trail is located approximately 7 miles from the pavement. This scenic trail covers 1.1 miles and ends at a spectacular balanced rock formation. GH-1 (Government Spring) is a large site. GH 2,3 are adjacent campsites with separate parking areas. On some park maps this site is listed as "Goverment Spring." This is one of the backcountry sites that the NPS lists on their website as generally accessible to RVs although no hookups are available. Also, generators are never allowed to be used in the backcountry. These photos are from March 2012. 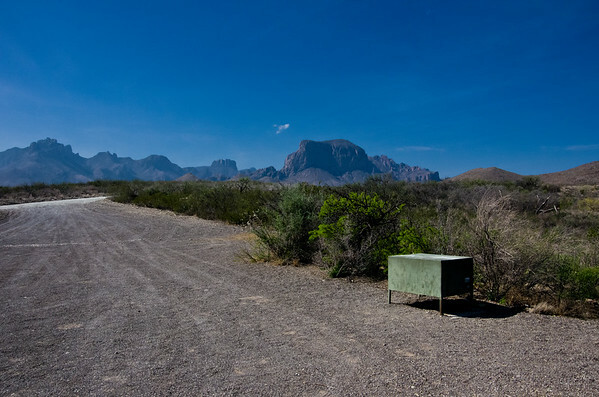 Although the site is not very remote, it does have an outsanding view of the Chisos. I imagine that campers here are occaisionally rewarded with great sunrises and sunsets.